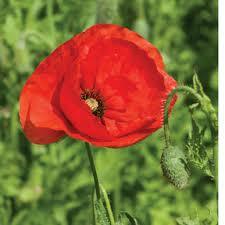 Wreath laying ceremonies will be held at 8:45 AM at the Main Fire Station and 9:00 AM at Westview Cemetery. 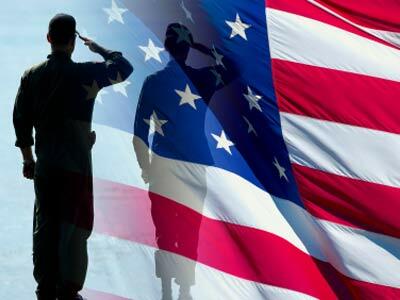 The Memorial Day Parade steps off from the Police Station at 10:00 AM with Ed LoTurco as the Grand Marshal. The parade stops at Munroe Cemetery to honor our Civil War veterans, then moves along Massachusetts Avenue to the Battle Green, stopping at several memorials along the way for a wreath laying ceremony. The Parade arrives at the Green for the Memorial Day Ceremony at approximately 11:20 AM Lt. Col Ken Ferland, the 66th Air Base Group Deputy Commander, will deliver the keynote address. Please call the Town Celebrations Committee information line at 781-698-4640 for details. Corner of Mass Ave, Fletcher Ave, & Woburn St. If you are interested in getting in touch about providing entertainment, volunteering or participating in our community tent, email lexingtonfarmersmkt@gmail.com for more information. We are looking forward to being reunited with our favorite farmers, friends, and all that fresh local food! The Lexington Farmers’ Market connects residents with local farmers and vendors, providing greater access to fresh, locally-grown and -produced food to community members of all income levels. The LFM educates people about healthy eating, nutrition and sustainable agriculture, and provides a social experience that builds community. Labels: 2018 lexington farmers market, community, fletcher ave, Lexington MA, woburn st. There are several community events in Lexington on May 19, 2018. Come on out and enjoy the slowly warming weather. Department of Public Works Hadley Public Services Building, 201 Bedford Street. Enjoy a beautiful variety of home grown local plants that have been potted and cared for specifically for sale by members of the Lexington Garden Club!. Come early - as plants fly off the tables! Lexington Symphony and Conductor Jonathan McPhee host the third annual Community Music Festival, an afternoon of free family activities and performances that showcase an extensive array of local artistic talent and cultural diversity. Come enjoy performances showcasing the diverse musical talent Lexington has to offer, including Great Meadows Orchestra, Guzheng Ensemble, Eastern Rhythm Dance Troupe, student ensembles from Lexington High School and more. Children can learn more about the instruments that make up the orchestra and get some hands-on experience at the “Instrument Petting Zoo,” with instruments generously provided by Yamaha Music School of Boston. Join Lexington Symphony for "Broadway Goes to the Movies" on Saturday, May 19 at 7:30pm at Cary Hall in Lexington. From the stage to the big screen, music is vital in setting a scene, stirring our emotions and telling a story. Lexington Symphony, with special guests the New World Chorale, perform some of the greatest music from Broadway hits that have been adapted for the silver screen. Hear beloved excerpts from Oklahoma, Jesus Christ Superstar, Phantom of the Opera, Les Miserables, and so much more. Tickets for Lexington Symphony’s Music from the Movies: “Broadway Goes to the Movies” concert on Saturday, May 19 at 7:30pm at Lexington’s Cary Hall are $33-$55 and are on sale now. 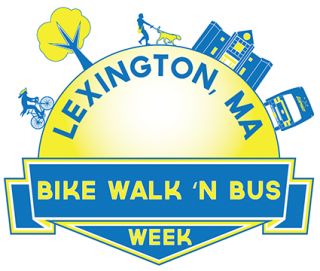 Bike Walk 'N Bus Week - Promoting healthy, sustainable, and safe transportation options. Every year in May, the Town schedules a week of free events including historic walks, guided bike rides, free Lexpress rides, and more! This event is organized by the Bicycle Advisory Committee, Greenways Corridor Committee, and Safe Routes to School Committee, in conjunction with Town staff to celebrate the many alternative transportation resources available in town. Events run from May 12-20. Discover Lexington's "hidden gem" stroller and child friendly parcourse! This self-guided walk includes boardwalks and paths intermingled with outdoor exercise-stations that weave around the Lincoln Fields beginning at Worthen Rd opposite LHS and end at Middleby Rd near the Bridge School. Location: Worthen Rd opposite LHS, Lincoln Fields parking area, and the Bridge School. Wedding season is in high gear in Lexington MA! Many engaged couples have weddings and homeownership on the mind. If you are one of these couples, allow me to offer you some tips as your Lexington real estate agent! 1. Prioritize. Decide which is most important to you. 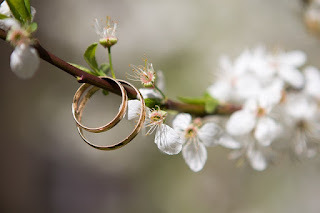 If it’s the house, consider throwing a small wedding, or have an elopement now and a party later in your own backyard! 2. Budget. Sit down and set realistic budgets for both the wedding and home purchase, dependent on your income and expenses. 3. Save and set date. Determine how much you can set aside each month and open separate savings accounts. Decide how long it will take to have enough saved and plan your timeline around that. If you have questions, or would like help buying a home in the Lexington real estate market, I am here for you! Contact me! The William Diamond Junior Fife and Drum Corps will host a Fife & Drum Muster from noon to 5 p.m. on Saturday, May 5 at the Minute Man Historical Park in Lexington. The event features a parade, colonial vendors, re-enactors and performances by 30 fife and drum corps from around the country. These uniformed musicians, representing different time periods in American History, will present our nation’s historical music in an outdoor concert.